No promotion, just some personal reviews of various products I use or like. I did not used to be a big fan of smartphones. I was using a cell phone with monochromatic display. 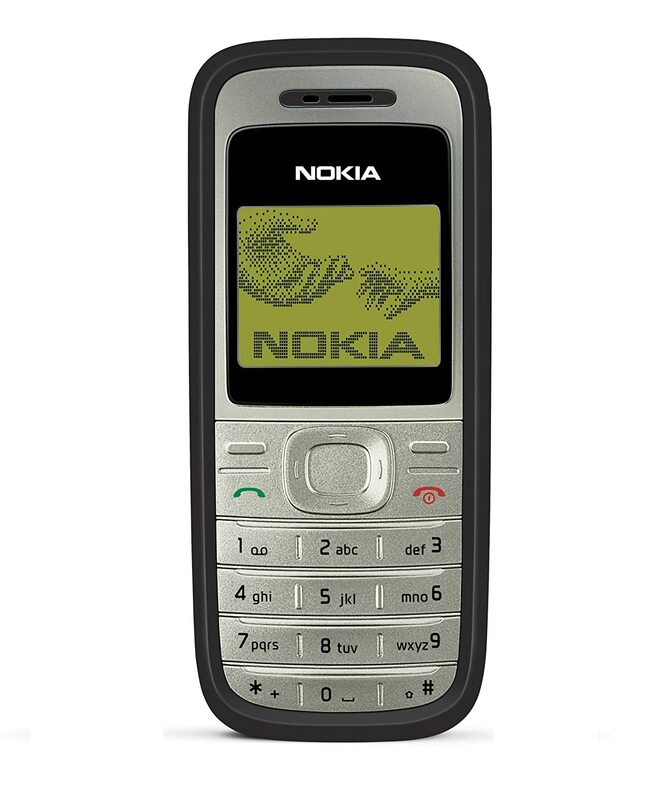 It was a new model by Nokia – they still produce even the simple once. I could go weeks without charging it and it would survive everything, very easy to handle in gloves as well. Then I have got a S3 as present for my B-day. Unfortunatelly, it was stolen last year and by that time I knew I was already addicted to smarphone and would have to buy a new one asap. This time [August 2014], I have got to chose the model by myself and I had to pay for it as well. There were three brand options for me – iPhone, Nexus, or Samsung. I had a clear vision, what I expect of the device. I can be negligent about my stuff sometimes, so I needed someting resistant. Then, I have came across the S4 outdoor version by Samsung . It is basically a S4 but water- and dustproof. You can take even pictures under water. The 5 zoll display can be control even in gloves or in rain. There are even higher models [S5 asnd S6]. In my opinion, they look very robust while S4 looks cute and is ressilient. Truth to be told, they are not so easy to buy and of course are more expensive. I have waited two months for mine to arrive and was very tempted to stick with the regular version. Nevertheless, I do not regret buying it. Even after one year use, the case is still waterproof and I have barely any scratch on it as well. It has fallen down several times, survived shooting in lake, sandy beaches are not a problem either. If you are as clumsy as I am, you should definitely consider purchasing one! The functions are basically the same, yet the camera is weaker, at least in S4 series. I have been disappointed by it because I was able to take better pictures with my old S3 but in general, it works fine. The most pictures I have presented to you on this site were taken with that poor camera and I do not think they are lacking any extra pixels. All in all, I am very happy with my choice. Nokia 1200 in black. Check out the picture here. Good running shoes makes you fall in love with running every time you put them on. I have randomly tried several brands and models in the past few years. All of them seemed to me to be the same – very springy on the first adventure, yet they would become very sloppy soon. I have to admit, my running style is very questionable. I am aslo not from the lightest weight category, so I ruin shoes very fast. To define what fast mean – I do not run on daily basis and I do not run marathons either. So my older running shoes used to last for about 2-3 seasons. So in the first season the shoes would feel great, yet in the second one they would be ratherflat and not fun to run in while they would still look great. However, I would not throw them away until they were run down on the outside as well. It is not a responsible way to treat your body but I am student and I am not a professional, so the possibility of getting hurt decreases with the small number of kilometers I run. I was neve picky about my running shoes, I had always someone with me who acctually understood what I need – either my dad or brother. So, they would make some suggestions and I would pick something, deciding mostly based on colour. The same way I have got acquainted with my current once. I did not like the colour at the beginning but they felt really good on my feet, I just had to get them. The joy of running was peaking again – with each step I felt the urge to jump higher and go faster. To my suprise, a half year went by and I have noticed how wore down the grips on the sole were. What is more, after few more weeks the shoe shell started falling apart as well. I have been excited about all the damage on one side, as it shows I have been using them a lot and I have got some good runs in this year. On the contrary, I am not ready to say goodbye to them yet. Surprisingly, they match the most outfits of mine! Yes, at the beginning I was terrified by how colourful they are and now I love them so much. What I value most about them is the fact, that they still feel as springy as the first day I got them. I think this shoes were meant for certain milage and after that they fall apart to prevent you from running in flat sloppy shoes like I used to before. Otherwise, the shoe is perfect for soft ground like woods or muddy surfaces, etc. The pattern on the sole is simple but very effective. The shoe literaly sticks to the rocks as well! I have got the non-GoreTex version, so they get easily soken wet. Howeve, they dry out vey fast as well. All in all, I have been very satisfied. As I have said before, I am sad to say goodbye to them but buying new shoes is always excited, so I will get over them soon! I have a great collection of high-heel shoes, boots, and other imaginable footwear which match with various outfits in my wardrobe. I usually do not spend large amount of money buying them as I am glad to throw them away after few seasons and buy new one. I am female, afterall. However, there are only three pair of shoes which I chose very careully – sport sandals/confy sporty flip-flops, light running shoes, and my hiking shoes/the go-shoes. These kind of shoes have to be very comfortable and I always wear them when I want to treat my feet. on the other hand, if I feel like treating myself, I go with fashionable shoes. Despite the fact that I am 1,78m tall, I do not mind wearing 10cm extra. Nevertheless, if I have to get to places quickly and it includes walking longer distances, I would pick one from those four. So, with approaching winter, I needed to buy a new warm and waterproof shoes. I have been wearing various city models from Salomon for past 8 years, I guess. I have been very satisfied with them, I have never got shoe bites from them! This time, I went for a more sporty model as I intend to wear them on my winter runs as well. Plus, it was important that their sole would be resistant against hard surfaces (e.g. pavement) and it would not wear down quickly. Therefore, I have recently purchased Salomon XAPro 3D (the model with goretex). I have been trying on ladies models in store but they would sit so strangely. I did not feel comfortable at all and I would never be willing to pay so much for schoes which do not fit. As I liked the quality of those shoes, I tried on a men´s model. My feet were very happy, so I ended up buying them. The salesman helping me out looked at me sceptically when I asked him to wrap them up but my feet are obiously not female (despite the red nail polish on my toes!). I originally wanted to buy a red version of shoes – it was a very nice deep red, however, only a black once were available at that store. What is more, black is very neutral and and quite practical for weraing them with my jeans when going to town. The shoe feels very comfortable, no shoe bites so far and it has been almost a month I have been wearing them intensively as you can see how dirty they are! They are a bit stiff when I run, of course, they are no speedcross runing shoes! On other hand, they stick to the surface very well. The GoreTex membrane keeps you feet dry – even after jumping into a brook or puddle. I am very happy with my choice and would definitely buy them again. This summer, I have decided I want a tent. We have a one family tent which we have been using for several years now. However, I felt like I would like to have my own and a smaller one. I have been looking for a good catch – it was supposed to be of high quality and low price, what a rare combination. So I started my search and I have quickly came across the Micra II tent by Salewa. Looking at its parameters, 120 x 212 x 102cm, I have been sceptical how two persons would fit in. My brother assured me, it is not as small as I might think it is so I went for it – the price was very reasonable. However, when we erected it for the first time I have started to regret my decision. I was used to have large space when camping, think like two persons are sleeping in 3-4 person tent. So, after the bumpy start, with each night I have slept in – the Micra started to appear more spacious than the night before. In the end, I would say it is a big enough to accomodate two grow-ups (if you store your backpacks in the ‘entrance hall’). And if you are travelling solo, this is a perfect match for you. It is super light, I would not complain carring it around for the whole day – it is only about 2,4kg (if it is wet, it can go sligthly above 3kg). The two-layers structure is very easy to erect. I appreciated the clips of the first layer – so easy and fast. However, they are a bit stiff – so unclipping them on cold morning with frozen hands was painful! The rest of the construction is quite simple and I really loved the buckles of the coating layer which can be adjusted. It is very easy to stretch and tighten it – so it does not flutter in the wind. Two persons can without any stress get it up into 3-4min. The only thing I did not love about this tent was its colour. I have found out that previous model was acctually olive green. For camping in the nature, I would rather prefer that shade instead of cactus green of my version. Nevertheless, it is allright – you can see for yourself in the picture. The water-resistancy of the material has so far did goog, we will see how it will do in a long term. Otherwise, the two layers had provided us with with 3-4°C more degrees compared to outer temperature. I am not sure. I will also be excited about it during hot summer nights. The big plus was the fact, that the double-crossed framework is very stable and it prevents any touching between those two layers. I am very expanding person and I lean against the inner coat very often, so I was glad it did not get wet from the condensate gathered on the inside of the second coat. All in all, I am very happy with my choice and cannot wait to take it for another spin. First of all, the watch looks great. I have picked the coral version and I have been a bit frightened when the package arrived. I was not sure, how the colour is going to turn out. I have seen plenty watches in colour and most of them looked so cheap. However, I do not regret taking this risk. The coral version is so beautiful. The surface is matt (even after 3 months) and the touch feels so great. It is hard to put it in words – I am excited every time I put them on! And the best part, the HR belt is in the colour of watch which I did not see coming. When I picked that watch, I was curious about the Bluetooth connectivity. Transfering your data, expecially if you are on a longer trip like my latest roadtrip was, might get tricky. There was no way, I would carry a laptop with me for a 12-day-long journey and 100 hours of memory would not be sufficient either. So the possibility of saving the data through movescount-app into my smartphone (you need internet connection to do that) is a trait I learnt to appreciate very quickly. I rarely connect them to my laptop. What I did not know when buing them, the movescount-app has been primarly developed for iOS. And there is only a beta version for android users. Plus, it is able to communicate only with Android 4.3 or higher. When I have got the new watch this summer, my Samsung S4 Active was still running on Jelly Bean (4.3) – so it was a close call. Although, I think the most devices are alreary running on Lollipop (5.0) these days. Be aware, the open beta version has still its bugs, e.g. my phone can only syncs one time, if I try to sync them next day and I have not restarted my phone in between – it will not work. I have no idea why. (If anyone does, pelase let me know.) So it is upsetting but I guess it will improve with time and I believe the iOS users do not experience this kind of problems. The battery life is quite poor, it is only about 10 hours if you let your watch run GPS in 1sec intervals. Unfortunatelly, the GPS-sender is working even when the excercise is paused. So I usually record two excercises on longer rides – one before lunch and then the second for the afternoon part and I save 2hours battery life of the lunch pause. This is quite ridiculous and if there is a better way (or can I set it somewhere to shut down GPS while pausing, please?) I would be happy to hear about it. Nevertheless, I have mentioned before, I rarely connect my watch to laptop for syncing. So you are probably asking, how do I charge them? The charging/connecting cable is a simple USB, so you basically need a wall-plugin-thingy (what do you call it?). However, and this took me long time to find this p[articular piece of information, you should only charge it from USB 0.5 – 1.0 A and 5.0 V. The voltage is not a problem but the standard wall-plugin-thingy from your smartphone usually works on 2.0A. So you either find a thingy which only provides you with less Amperes or you can get an external battery. The latter is my case. I need an external power cell for the longer trips anyway – if you cam in wild, there are no power sockets. So I have been looking for one which had the proper amount of Amperes. I got one from ALLPOWERS and it has 1.0A and 2.0A outlet, so I can charge my phone as well. So I charge my watch from it even when I am being home because you do not want your power cell to rot. This is a hard part for me to write. I have obviously had much experience with similiar products. However, I can judge form an amateur´s point of view. I either run, bike or swim – only for fun. I have been very excited about the openwater swim – the HR belt has its own memory, so it remember your HR and can sync with watch after you get out of the water (as the transmission under water is not possible). In the same fashion, your GPS works only above water surface, so I got used to stick the watch out for a few seconds when I was making a turn. The internal memory of HR belt is also very usefull when the connection between belt and watch get lost – it has happened few times. It syncs as soon as it get reconnected (I have seen the Calories count to jump up and there were later no holes in the record). Otherwise, the watch works well. I have not had any problems with GPS and no trouble with navigation functions. I have appreciated the planing your route in advance through POIs, or the tracking back function. There is no way, you will get lost with this watch in the woods. The HR belt is comfortable, I have even slept with it when trying to do recovery tests in my sleep. However, it has stopped working few times (like four times so far) but then restarted on its own and I am not talking about lost connection between watch and belt this time. This is the most conrfusing part of all to me. The watch tends to exaggerate in my opinion. I have also tried to run the calibration tests several times in order to imoprove the precision of my recovery status – unfortunatelly, without any further success. It has been three months and the watch has nto been calibrated yet. Maybe, I am doing something wrong – no idea. Nothing is perfect. So even this watch is not without its faults, e.g. the short battery life or the occasional glitch of movescount app. On the other hand, I am very pleased by it. It has so many wonderful funcions and I can keep track of all my activities (incl. swimming). All in all, my enthusiasm is to be expected as I have been using only the simple versions such devices for so long and it has been a great upgrade for me! It has been a lot of joy for me. If you are thiniking about getting one for yourself, I would recommend going the extra mile and buy even a more expensive model, you will not regret it later.